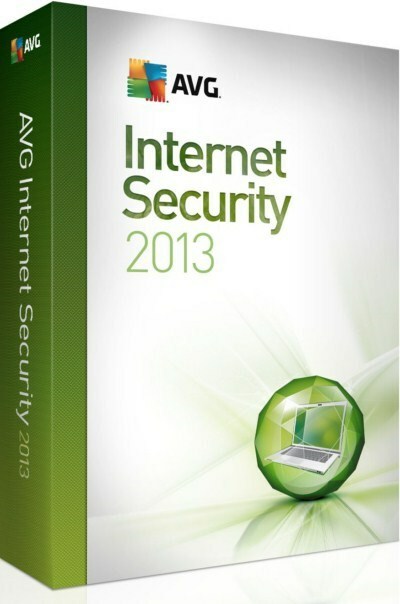 AVG Internet Security 2013 - comprehensive antivirus with firewall, atispamom and effective web protection. Provides protection against all types of Internet threats, network attacks and malicious files from the cloud technology reputation. AVG Internet Security 2013 - comprehensive AntiVirus with advanced threat detection through 'cloud' service File Reputation, simple to manage, and optimize firewall technology AVG Scan Turbo to quicklyscan your computer. Some antivirus solutions slow down your computer, AVG Internet Security 2013 speeds up, improving download multimedia files. Faster boot time and support for Flash-video and HD video provides comfortable viewing of video on the Internet, such as YouTube. AVG Accelerator optimizes your computer is connected to the Internet, thus speeding up the loading of a variety of content. It improves the download binary files and minimizes the hangs and delays when playing videos on YouTube. AVG Accelerator is enabled by default at startup. System Tools With AVG you can control the computer and turn off unneeded applications that are included when you start Windows, and the function of monitoring the system displays information about processes. With this tool, you can set the level of competence of trust within the computer, and the hazard of certain files. AVG Internet Security - it is not just antivirus: This system protects you when you shop and conduct banking operations, protecting your personal data. AVG Firewall prevents internal and external attacks, and Identity Protection technology ensures the safety of your personal data on the Internet. AVG Enhanced Firewall protects you from malicious attacks by data received on each network port. If the firewall detects penetration, he immediately blocks it and protecting your sensitive information from outside attacks, as well as in cases when a malicious program gets access to control your computer and tries to harm others. Enhanced Firewall AVG uses intelligent intrusion detection mechanisms to ensure the security of your home wireless and wired networks. AVG Identity Protection - this is not just a program for the protection of personal data. It not only provides protection against Web-based threats, and monitors suspicious activity on your computer and completes suspicious processes before they can cause harm. of antivirus software, which is automatically updated to protect against constantly mutating threats. Attackers invent new and emerging technologies, and research laboratories are constantly treated with AVG Internet data to provide a complete automated protection. Our ? ?Anti-Virus technology provides protection against viruses, worms and Trojans, and will not let you inadvertently become their distributor. First line of defense - is a traditional antivirus, preventing the penetration of known threats by comparing them to your database. AVG Anti-Spyware protects from spyware and adware that can capture personal information. AVG Resident Shield provides a second layer of protection by examining files for threats as they are copied, opened and saved, and there is no open an infected file. Emerging threats are defined "in the cloud" and not allowed on the computer automaticupdate antivirus software . information on the latest threats coming from customers participating in the program that allows us to continuously monitor new threats and protect the entire community of AVG, provide the best protection. quick and secure access to the Internet at the right time. Using AVG recommendations for proactive security, you can increase productivity and improve the security of your computer. Full control over sensitive information. With the AVG Do Not Track can detect and block ad networks, social media buttons and web analytics solutions that can potentially track your activities on the Internet. 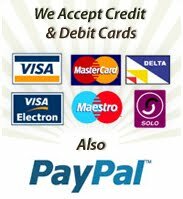 Besides, you can also report Web sites that you do not want to pass the information about your activities on the Internet. proactively identify computer problems and offer solutions to improve the internet. Get notified about applications that consume your bandwidth and memory resources, and take appropriate action. Do not use a fake access point Wi-Fi. With their help, attackers can follow you. Function AVG WiFi Guard alerts you to attempts to access an untested network Wi-Fi, even if she has a name that you know and you trust. play and travel on the Internet without interference. Validation is performed when the computer is not busy, it automatically when you play, and at that time moved to the background without interfering with the process of the game. Our intelligent scanning technology that uses a small amount of resources, working in high priority when not using your computer and switches to low-priority when you move themouse or press a key. Intelligent scanning AVG ignore files that previously scanned, reducing scan time. mode "in the game" provides continuous protection in the process of multi-player games, such as the Call of Duty, without annoying delays and freezes caused by scheduled updates and scans. AVG protects your gaming profile attacks from groups of attackers that penetrate the network, especially in order to steal your game rewards and then sell them for real money. AVG 2013 constantly monitors your security level and sends a report to our laboratory in the event of a threat. Near the hazard communications with checkmarks is a button "automatic correction". Click on it to fix the problem. The button "Automatic correction AVG 2013 will automatically correct errors and restores the state of maximum protection. Protect your email from spam and fraudulent messages, which contain hidden viruses. AVG will also protect you when exchanging files in popular instant messaging services such as MSN and Yahoo. module from AVG Anti-Spam risk of becoming a source of sending fraudulent messages is greatly reduced, as we regularly update the database to provide the most complete protection. Spam, distributed via the Internet may contain "worms" and cause the appearance of botnets - centrally directed covertly installed computer networks, which are then used in fraudulent schemes. AVG Online Shield checks the security of the files before downloading them, and references passed in online chats. This tool checks the security of files using the scan AVG Scanning Engine technology and LinkScanner. Protection of instant messaging and files to the ICQ, MSN and Yahoo! software for instant messaging. AVG E-mail Scanner checks attachments and links in e-mail messages for threats to prevent dangerous objects in your inbox. AVG Email Scanner component works as a plug-in for email applications such as Microsoft Outlook 2010, or as a personal e-mail scanner for accounts that use POP3 and SMTP. and all need to work to look for something on the Internet, but no one wants to get to the infected website. AVG clearly warns about all kinds of threats and helps pass them by. AVG Surf-Shield actively checks web pages in real time when it really matters - just before their visit. Any suspicious items it prevents transition to the site. Surf-Shield acts like when you click on a web page, and when you enter a web address directly into your browser. The new version of AVG 2013 we have improved component LinkScanner, to maximize the probability of detection. With AVG security enabled, you can safely communicate with friends on Facebook and other social networks: each web page and link is checked and safe. Now you will not get malicious links from your friends and send them to others. Protection of social networks - is a unique and powerful tool AVG component in AVG 2013. Links that are transferred to Facebook, Twitter and MySpace, are automatically checked in real time, which provides security for you and your friends. AVG Social Networking Protection is activated immediately after installing AVG and does not require a special user account and application settings. company AVG understands the need to safely connect to the Internet at any time of day, no matter where you are. Our mission - to provide you a sense of security around the clock seven days a week. you can count on the help of our skilled professionals at any time. On what occasion you have not contacted us - whether installation or configuration of the product, or any other technical issues - we are always ready to solve the problem and provide maximum protection.